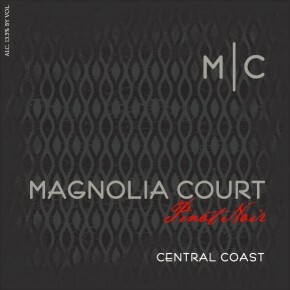 Distinctively Central Coast in style, this Pinot Noir is very true to type. Deep garnet in color, it has a nose of perfume, plums, and straw, and is medium bodied with firm tannins. Enjoy with grilled salmon, herb-roasted chicken, baked ham, or lighter pork dishes. Excellent with guacamole too. The grapes were cold soaked for several days to enhance color extraction, then fermented for 7 days. The wine was aged on French Oak for 8 months.